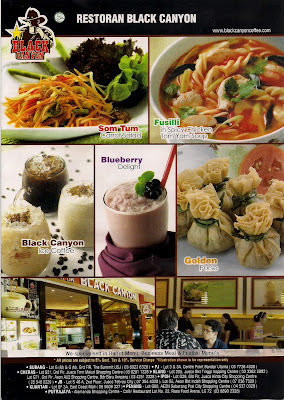 Black Canyon is the largest and most well known operator of franchised coffee houses in Thailand and has more than 190 branches all around Thailand. The franchised coffee houses can be found in Singapore, Indonesia, Malaysia, U.A.E., Myanmar. 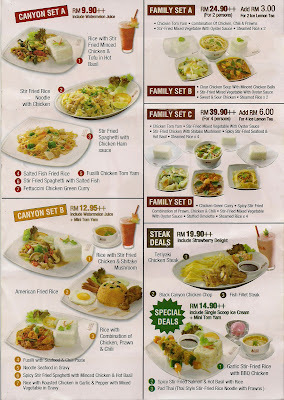 Black Canyon Restaurant is a is located on ground floor inside Perdana Mall (Jusco), Bukit Mertajam, Penang. 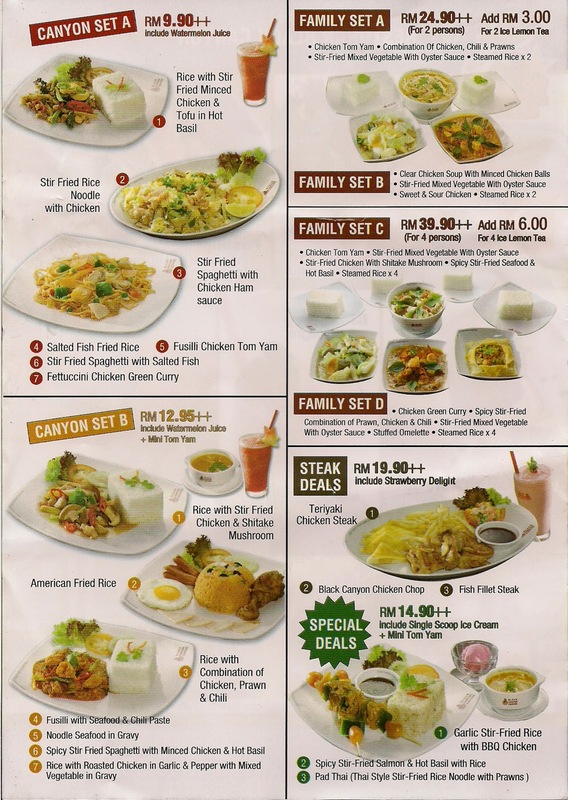 It has food menu with the combination of East and West. There are 4 types of Ice Cream Flavour for you to select. They are Vanilla, Chocolate, Strawberry & Mocha Chips. Oh ! Boy ! I love it. It is so delicious. It is very similar to the one which i ate at the Water View Restaurant @ Sadao, Thailand but not so spicy.